For the first time in decades, South Korea has banned a political party with a court ordering the organization accused of supporting North Korea to disband. The government had petitioned the constitutional court last year to ban the leftist Unified Progressive Party (UPP), which has five members in parliament. Some UPP members were previously arrested for plotting a rebellion. 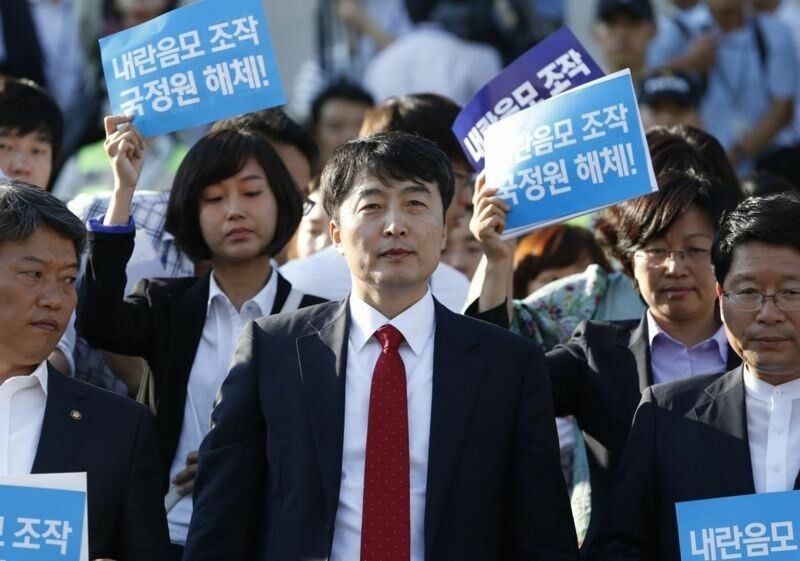 The move has sparked concern about freedom of expression and association in South Korea. The decision was closely watched by political groups, with hundreds gathered near the constitutional court in Seoul amid a tight security presence of about 1,000 riot police. Both UPP supporters and its opponents held demonstrations, shouting slogans and waving signs, reports said. It is the first time South Korea’s constitutional court has banned a political party since it was established in 1988, said AP news agency. Eight out of nine judges agreed on December 19 to accept the government’s petition to disband the UPP, order it to forfeit its seats in parliament and ban an equivalent party from forming. Justice Minister Hwan Kyo-ahn, making the government’s final argument before the court last month, said the UPP has attempted to “establish a pro-communist government and unification to realize North Korean-style socialism”. However, the UPP has said it only wants greater reconciliation with North Korea. The government’s petition was prompted by the arrest of several UPP members in 2013. Seven members were eventually convicted of plotting to overthrow the South Korean government in the event war broke out with North Korea. UPP’s leader Lee Jung-hee told reporters on December 19 that the decision “opened a dark age with an authoritarian decision” and had turned South Korea into a “dictatorial country”. “Security concerns must never be used as an excuse to deny people the right to express different political views,” she said.